The gluten-free diet has been a regular health trend for a number of years now. There is an automatic assumption that going gluten-free is healthier for you, but is it really? Gluten is a protein-carbohydrate combination, and can be found in grains such as wheat, rye, barley, and oats. Wheat-based flours and ingredients include white flour, whole wheat flour, durum wheat, graham flour, triticale (wheat and rye), semolina, wheat germ, and wheat bran. Even popular ancient grains contain gluten such as spelt and kamut. A lot of people drop gluten because everyone else is doing it. It is estimated that the gluten-free U.S. market will reach $6.6 billion by 2017. In 2012, it was at $4.2 billion. The gluten-free trend tends to grow every year. Does gluten have any health benefits? Gluten has high protein content and iron as well. Vegetarians might lean toward gluten foods if their diet isn’t entirely plant-based. Gluten is also a source of iron and carbohydrates. When the nutrients are taken out of wheat, it also lacks any nutritional value. The Real Reason You Feel Good After Dropping Gluten? On the average North American diet, you will eat plenty of gluten—in pasta, bread, flour tortillas, cakes, muffins, pastries, cereals, crackers, beer, oats, gravy, dressings, and various sauces. That sounds like pretty well every meal for the average person, doesn’t it? These foods will also contain sugars, preservatives, and food additives, making gluten on the unhealthy side. The issue might not be with the gluten, but with the gluten in processed foods. When people cut out gluten because they think it’s healthier and they feel better and have more energy, it could be because they cut out the gluten-processed foods. Some processed gluten-free foods will eliminate the gluten and replace it with sugar and fat. This maintains the shape of the food. Many people can’t consume gluten for specific health reasons, including those who are sensitive or allergic to wheat, are gluten-intolerant, or have celiac disease. Others might also avoid gluten if they have autism spectrum disorder or to help them lose weight. There are eight foods that commonly cause allergies, including milk, shellfish, fish, eggs, tree nuts, soy, peanuts, and wheat. Wheat and wheat products also contain gluten, which makes a gluten-free diet a good idea. There are millions of people allergic to wheat. People with celiac disease are sensitive or intolerant to gluten. Celiac disease can be contributed in part to the body’s inability to handle wheat or those sensitive to the gluten grains, specifically a reaction to gluten protein, gliadin. It is estimated that one percent or 1.8 million Americans suffer from celiac disease. Factors contributing to intestinal symptoms of celiac disease include nutritional deficiencies, psychological reasons, and protein-fat ratios of your diet. People with celiac disease may experience issues other than intestinal or digestive system concerns, including anemia, arthritis, diarrhea, bone pain, and infertility. 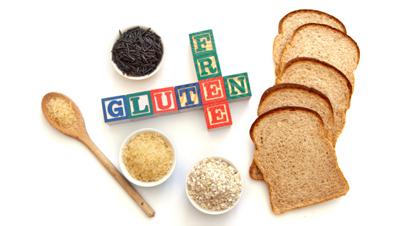 Migraines, skin rashes, and irritability are symptoms of gluten sensitivities. If you are just sensitive to gluten, it might benefit you to eliminate gluten for a few weeks and then reintroduce them into your diet. Children with autism may have an allergy or sensitivity to foods with gluten or casein. Autistic children can’t process the peptides and proteins in gluten and casein foods the same as other children, and choose a gluten-free diet to help relieve gastrointestinal symptoms. Symptoms from gluten-free conditions can subside by switching to gluten-free diets. Your diet may include natural plant-based gluten-free grains, including amaranth, millet, buckwheat, quinoa, sorghum, teff, brown rice, and wild rice. These foods are naturally gluten-free, and contain beneficial protein and carbohydrates as well. Your diet may also include fruits, vegetables, legumes, nuts, and seeds. Why Does Gluten Get Such a Bad Name? I believe you shouldn’t have to go gluten-free unless you have a condition; however, eliminating all processed gluten foods such as products with white wheat flour can greatly impact your body. Eating foods that automatically are gluten-free such as quinoa and amaranth will naturally benefit your health. “Three Trends I’d like to See End in 2014,” Miss Zippy web site, Jan. 3, 2014; http://misszippy1.com/2014/01/trends-id-like-see-end-2014.html. “Reasons to Go Gluten-Free,” For Dummies web site; http://www.dummies.com/how-to/content/reasons-to-go-glutenfree.html, last accessed January 22, 2014. “Best and Worst Health Trends of 2013: Going Gluten-free for No Reason,” MSN Healthy Living web site; http://healthyliving.msn.com/health-wellness/best-and-worst-health-trends-of-2013-1#13, last accessed January 21, 2014. Haas, E., et al, Staying Healthy with Nutrition: The Complete Guide to Diet and Nutritional Medicine (New York: Ten Speed Press, 2006), 326.